“Most genetic studies do not consider the effect of stressors which may be one reason for the lack of replicable results in candidate gene studies, GWAS [genome-wide association studies] and between human studies and animal models..Animal models of depression usually imply environmental factors, such as chronic unpredictable stress or learned helplessness. Relevance of functional polymorphisms in seven candidate genes previously implicated in animal and human studies on a depression-related phenotype given various recent stress exposure levels was assessed with Bayesian relevance analysis in 1682 subjects. “5-HTTLPR [serotonin transporter], the most extensively investigated polymorphism with respect to interaction with life events, showed only very low relevance. 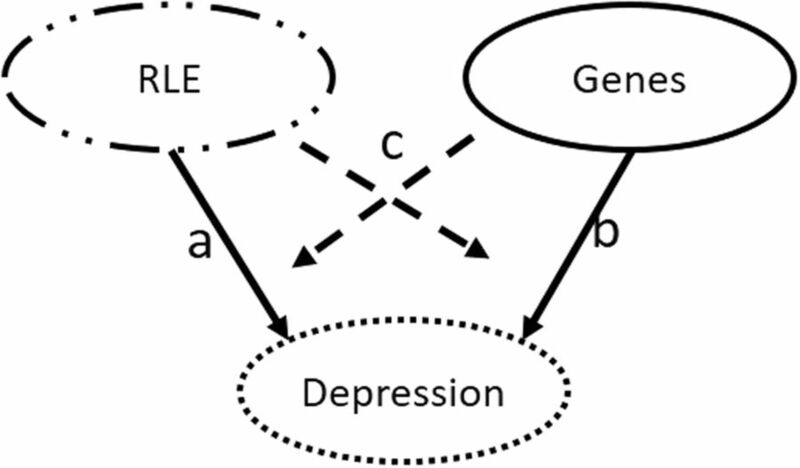 Compared to heritability which accounts for 37–42% in the variance in general population samples, influence of environmental effects is estimated at 63% in depression. The methods of this study bypassed problems with GWAS and provided evidence for the lasting effects of “Etiologically relevant distal..stressors.” This was another way of saying that traumatic experiences beginning from the earliest parts of our lives still affect our biology and behavior. The problems found in GWAS may also be found in epigenome-wide association studies. Researchers conducting DNA methylation analyses in particular may benefit from changing their approach if what they’re doing follows the GWAS paradigm. This study’s approach should be considered, given the almost 2:1 relative impacts of environmental over genetic factors in influencing our biology and behavior. It’s especially indicated when human studies don’t replicate animal studies’ findings from strictly controlled experimental environments.